Isn't exist a class for titans without surface. How exactly does the oceania --> terra option in universe.cfg work anyway? I think it determines the ratio of Oceania's to Terra's. For each 'Terra' there is one 'Oceania'. come on two Terra's an Oceania. Will a future release have liquids in accurate temperature ranges? It's a bit odd seeing water on terras above the boiling point. At those temperatures sulfuric acid seem more likely. I think those can appear from time to time already. I swear i've seen one somewhere. So I like the planet classes as they are now, but like people are saying there are some types of planets that we would like to be added, such as gas dwarfs and carbon planets and whatnot. The end goal (in my opinion at least) would have every one of these types of planets (https://en.wikipedia.org/wiki/List_of_planet_types) implemented in some form. It'd also be helpful in the planet's "type" description if there were main planet types like "small rocky planets", "wet icy planets" and "gassy giant planets", and then more specific sub-types such as "carbon plant" and "desert planet", "titan" and oceania", and "ice giant" and "helium planet". Something like this would be nice as to better categorize each planet (no two planets are the same! ), as classifying them simply as "hot desert" and "frozen ice world" isn't really that helpful, all to make Space Engine a little more scientifically accurate. Also adding "former star" planets would be cool, as there are a few of these are predicted to exist. That's not necessarily inaccurate. The boiling point depends on both temperature and pressure. Not saying there aren't exceptions, but usually when I find liquid (and assume it's water) above 100C it fits the phase diagram. That's not necessarily inaccurate. smile The boiling point depends on both temperature and pressure. 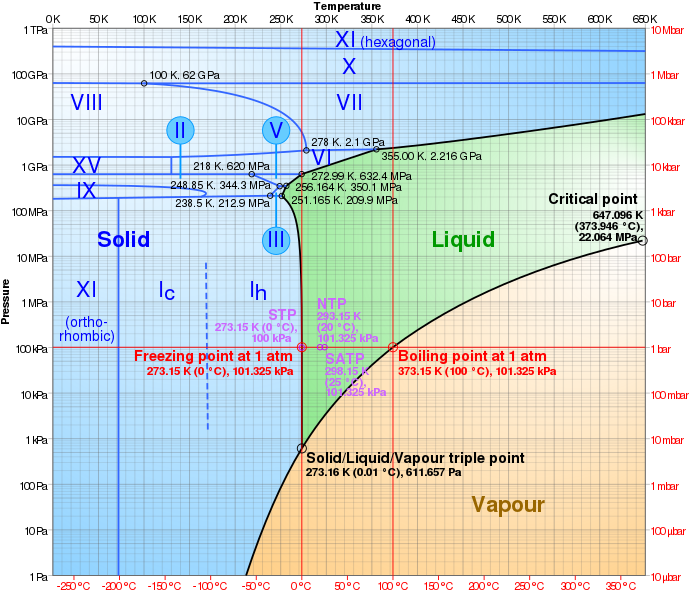 Not saying there aren't exceptions, but usually when I find liquid (and assume it's water) above 100C it fits the phase diagram. Sulfuric acid is a product of high heat. A "Arctic Venus" is what I suspect a large share of hot terras to actually be. In general I just hope that liquid classes don't get tied to planet class in the future like they currently seem to be. (Titans having liquid hydrocarbon seas while Terras have water). Liquid class is important since it would have additional factors for the generation of the world due to how liquids affect terrain. Worlds with liquid ammonnia oceans are unlikely to have ice caps for instance. Acidic worlds probably would have flatter terrain generation (as acidic rain would corrode the landscape much harsher than water does). World composition is another factor that seems a bit absent beyond silicate/ice. Carbon and Iron compositions seem to not exist. An exotic type of world that may exist are iron worlds with sickly yellow carbonyl seas.